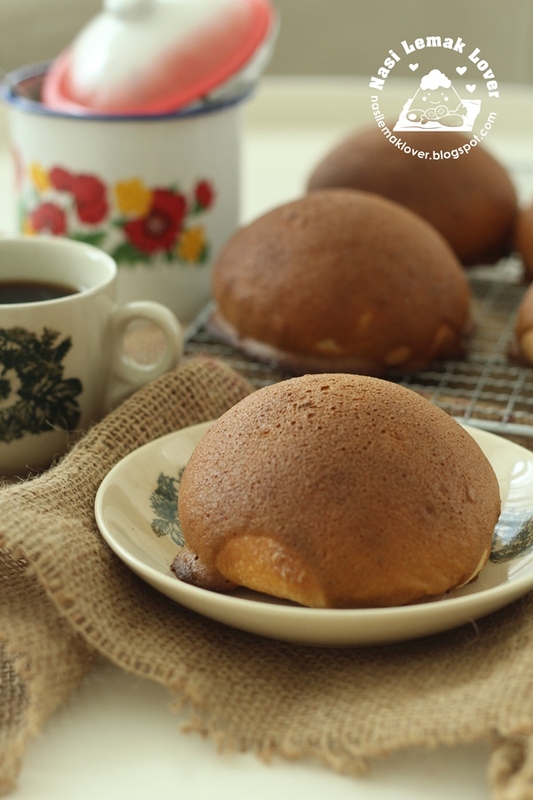 Love this sweet bun recipe as it yield very moist and soft bun. Anyway, my boy asked me to increase sugar for the crispy coffee crust as he prefer sweeter version. So you may want to adjust the sugar amount if you prefer sweeter version. 1. For sweet bun dough. Add all ingredients except butter in a mixer, mix and knead till smooth. 2. Add in butter, continue to knead till achieve window pane test or dough look shinning and elastic. Cover and set aside to proof till double (~take around2hrs). 3. For coffee topping. Mix coffee powder with hot water, set aside. Beat butter and icing sugar till smooth, add in egg and beat well. Add in flour and coffee mixture, fold till mix well. Fill the topping into a piping bag with round tip. Refrigerate till needed. 4. Divide dough into 12 equal portions, shape round and rest for 15mins. 5. Flatten the dough, fill with cheese or butter, wrap and seal, shaping to round. Place on a baking tray lined with paper. Repeat for the rest of the dough. Leave to proof till double. 6. Pipe the coffee mixture spiral pattern on the bun, less than ½ of the bun . 7. Bake at a pre-heated oven at 180C for 20mins or till cooked. 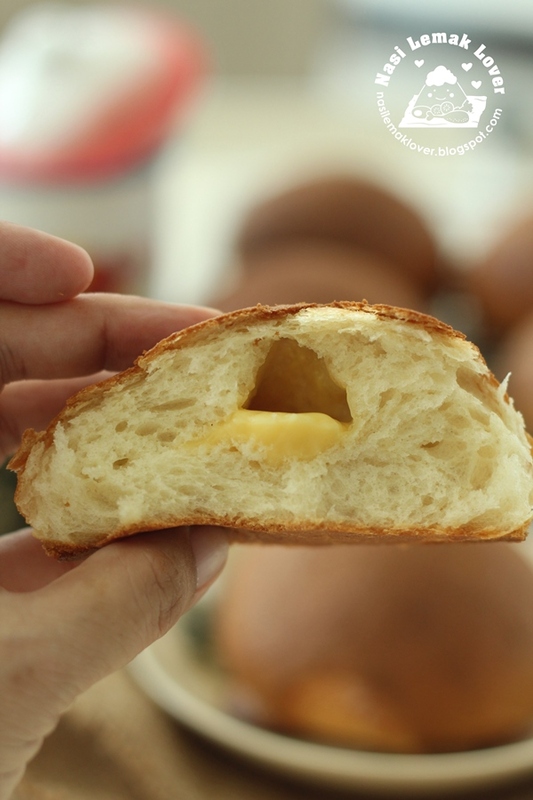 -Normal bread making method, add butter at last and knead till achieve window pane stage. Hi Sonia, I am Irene and I love looking at your post. 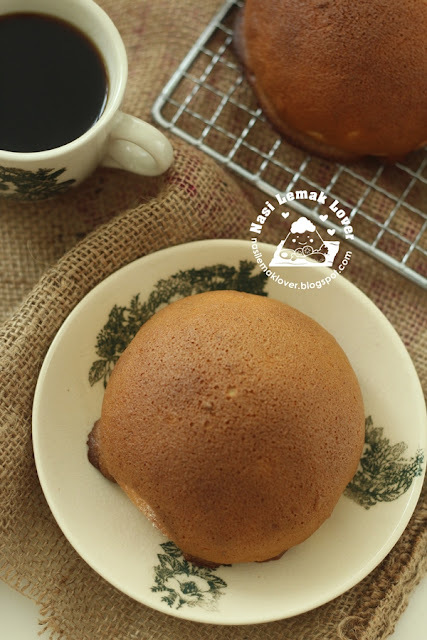 My kids loved coffee bread too and I was also trying out sourdough starter in my bread making. May I know if this bread have a sourish taste due to the starter and will the bread be a bit dry. My soft bread that I have tried using sourdough starter always turned out a bit sourish and dry. Appreciate your advice. Tks. Hi Irene, no my buns didn’t taste sour at all. Your mother starter have to discard and refresh oftenly. 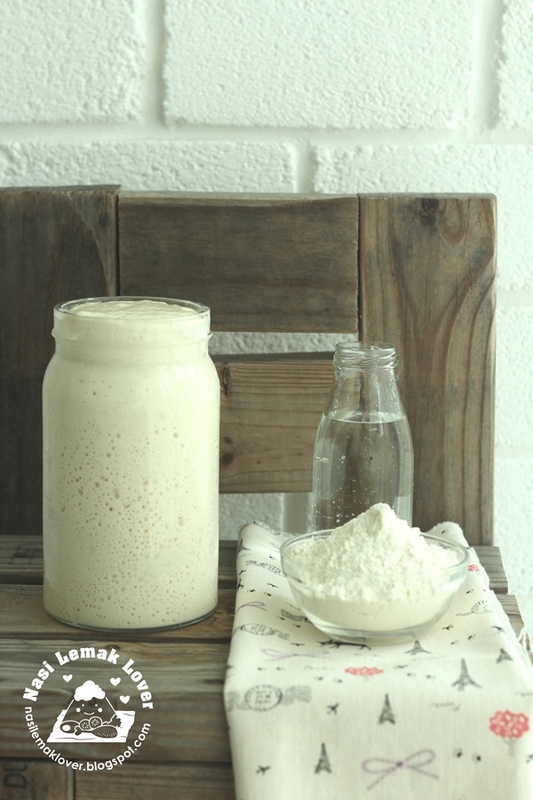 Or you can try with levain method , where you take a portion of starter then feed with equal amount of flour and water ratio 1:1:1 in another clean jar , you can also feed ratio 1:2:2 starter :flour:water as it will even taste no sour but take a bit longer to peak compare to ratio 1:1:1.